Consumers today spend nearly 60% of their time on the Internet on their mobile devices. Your website should function just as well on smart phones, like the iPhone and Samsung Galaxy, as well as tablets like the iPad. With a mobile responsive website design, your website will respond to the size of the consumers screen for optimal usability. Our team of web designers, web developers and creative strategist have over 20+ years of experience creating websites that convert. 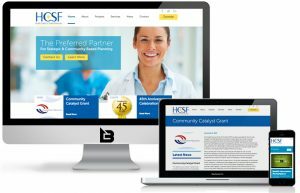 Elevate your brand today with a new custom website design.